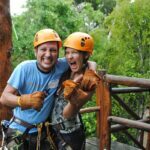 This Tulum tour from Playa del Carmen is an excellent way to see a side of Mexico that goes beyond the sun and sand postcard picture that many people have of the country. 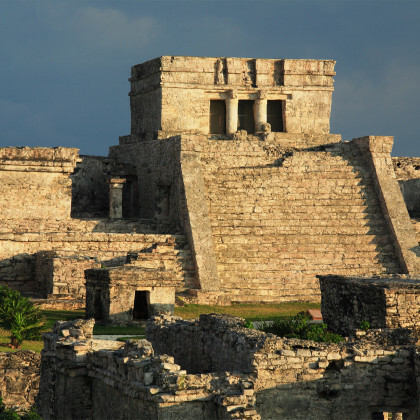 Delving back through the centuries, you’ll get to see for yourself what the ancient Mayans left behind of their civilization. You’ll be picked up directly from your hotel, and taken to three different locations throughout a day packed with adventure and excitement. 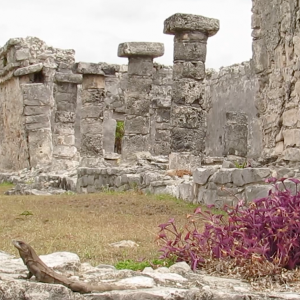 The Tulum ruins are unique amongst the existing Mayan ruins, in that it was the only known Mayan city by the sea. 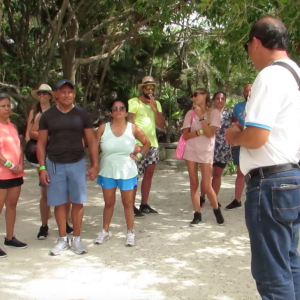 During your Tulum ruins tour, your expert guide will teach you about how the people here made a living trading jade and turquoise, and show you the surviving artworks that give us a glimpse of what religious life was like for the Mayans. One of the star attractions of the Tulum ruins is the Temple of the Frescoes, home to a huge mural which depicts the Mayans’ views on life, death, and the gods. 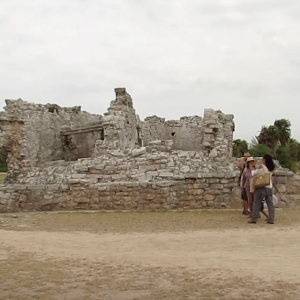 When the tour is done, you’ll have an hour’s free time to explore the Tulum ruins for yourself. One of the most popular parts of the ruins to visit is the “Castillo”, or castle, which stands on the edge of the cliffs. While the walk up there can be a hair-raising experience, it’s certainly worth making the tip up there. You’ll be treated to beautiful views of the beach and ocean below and once you make your way back down, you’ll definitely deserve a relaxing lie down on the clean, sandy shore. 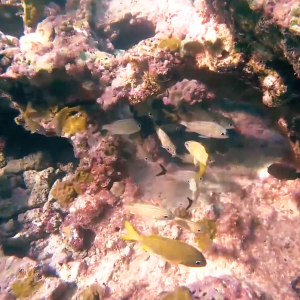 Once you’re done exploring the Tulum ruins, you’ll then have the chance to take a boat ride out into the Caribbean waves, and try out your hand at snorkeling. 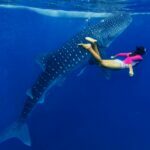 The waters around Mexico are home to an incredible range of fish and other sea creatures, and you’ll be able to get up close and personal with them. 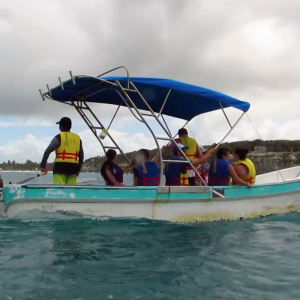 During this thrilling boat ride, you’ll see Tulum from a whole different angle, and can imagine how ancient travelers would have felt approaching this once-magnificent city. 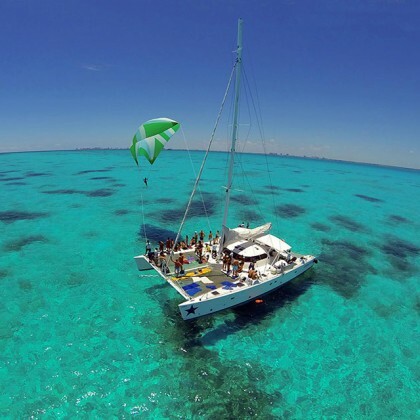 Whether you choose to dive in to the waters and have an explore with your snorkel, or stay in the boat and soak up the Caribbean sun, the boat ride is an unforgettable experience, and the centerpiece of a great day. 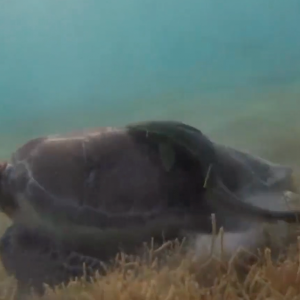 Once you get back to the shore, your aquatic adventures aren’t over just yet. 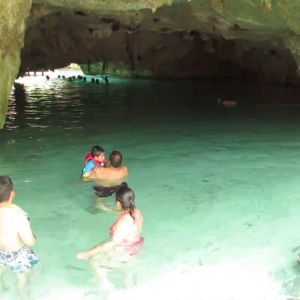 Lastly, you’ll be taken to Gran Cenote, one of the Riviera Maya’s most famous cenote, or sinkholes. What looks like just a hole in the ground from above opens up into a vast subterranean cavern, filled with crystal clear water. It’s a truly breathtaking sight, and you can take a dip in the water for yourself. It certainly beats the hotel pool! 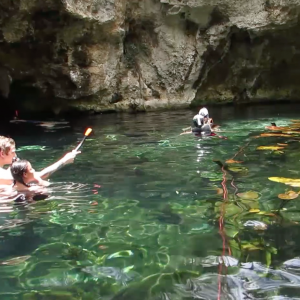 Gran Cenote is also home to a whole host of native wildlife, from freshwater fish and tiny turtles, to exotic birds and even bats. 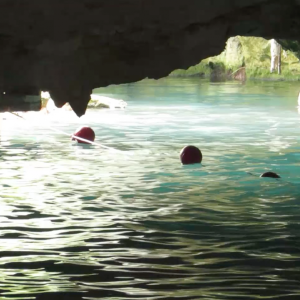 These creatures have called Mexico home for even longer than the ancient Mayans, so Gran Cenote will give you the chance to see an even older side of this historic country, and transport yourself back to a time before humans even set foot on these shores. 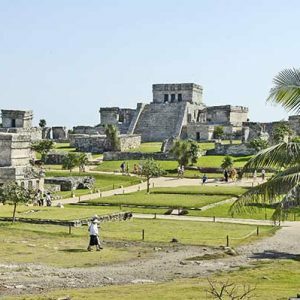 This Tulum tour from Playa del Carmen is therefore the perfect way to see several sides to Mexico that most people miss out on. As you travel back to your hotel in our air-conditioned bus, you’ll look back on an unforgettable day and be so glad you came along for the ride. Make sure you book your place today! Hotel pick up approximately 7:30 – 8:00 a.m., Tour returns between 3:30 – 4:30 p.m. I had very fun time on this tour. All day of fun! It was cool seeing it both from the inside and outside when we snorkeled after the ruins part of the tour.